Providing a classic New England experience year-round, Stowe Mountain Lodge offers a luxury retreat in Vermont. Featuring four seasons of activities, the ski-in/ski-out resort is surrounded by natural beauty, with 36 holes of golf on two unique courses, spa, and a variety of activities like ziplining and snowshoeing. Continue reading below the photo. For an exclusive setting that is ideal for families or groups looking for more privacy, the resort's Four Bedroom Mountain Cabin is a slopeside condo with four bedrooms spread throughout three levels. Two of the bedrooms are master bedrooms with king beds, and connecting en-suite bathrooms offering over-sized bathtubs. The other two bedrooms (one with a queen-sized bed and the other with a twin-over-double bunk bed) are located on the patio level with an additional full bathroom. While the walk-out patio has a hot tub with panoramic views. Within the cabin there are two living spaces for gathering to relax or socialize. There's a stone fireplace, large windows with mountain vistas, and LCD TVs. Read more below the living room photo. In addition, the cabin has a full gourmet kitchen with New England styling, and all the appliances needed to create in-cabin meals to remember. Plus, an adjacent dining room with Vermont views. Read more below the photo. Stowe Mountain Lodge is located at the base of Mount Mansfield. Amidst green mountains, the resort offers an authentic landscape with four distinct seasons. Influenced by local culture and style, the property provides alpine luxury surrounded by lakes, woodlands, covered bridges, and rustic architecture. Five Star Alliance Perk: Reservations booked under the "5 Star Signature Package" rate will also include Vermont breakfast for two daily in Solstice Restaurant and a $100 food and beverage credit per room/per stay. Situated in the Pacific Northwest, Oregon offers seven diverse regions including mountains, high desert, cities, valleys, and beaches. On the eastern side of the Cascade Mountains is the high desert, in the middle of the state is Portland, and less than an hour west of downtown Portland is the Willamette Valley known for Pinot Noir. In this edition of Featured Journeys, we explore a multi-stop itinerary to explore Oregon's vast variety of landscapes, climates, and activities, while highlighting three top luxury hotels ideal for this adventure. This high-desert mountain town offers a variety of outdoor adventures. Known for 300 days of sunshine and crisp, cool evenings, Bend is sometimes referred to as the "outdoor playground of the West" with hiking, mountain biking, skiing at Mt. Bachelor or meandering through Bend's ancient lava tubes. Beer enthusiasts will want to check out the Bend Ale Trail, and The Huffington Post named Bend as one of the top cities with the most eateries per capita. Plus, there's a variety of award-winning wineries and tasting rooms, as well as art galleries in the Old Mill District. Located at the foothills of the Cascades, Sunriver Resort is an ideal place to begin an Oregon adventure. Situated about 180 miles southeast of the Portland International Airport (and 137 miles souteast of the Eugene Airport), the resort is home to four of the state's top golf courses, including Crosswater, Meadows, and The Woodlands. Guests have access to more than 40 miles of biking and hiking trails, plus kayaking, rock climbing, skiing, and white water rafting. For relaxation, there's a full-service spa and salon, as well as a variety of on-site dining options ranging from casual to chef-prepared local cuisine. Proud to be a unique city, Portland has a variety of nicknames including the Rose City, Beervana, and Bridgetown. Home to the world's largest independent bookstore, with a thriving food scene, and appreciation for the arts, Portland is a walkable city with new flavors to explore around every corner. Set along the Willamette River close to the Oregon and Washington border, Portland is a green city where you can see Mount Hood on a clear day, drive to the Pacific Ocean in just over an hour, or head to the vineyards of the Willamette Valley. There's trees and green spaces galore, and the public transportation system provides an efficient and green way to get around. Providing a convenient location in the heart of downtown, The Sentinel offers a historic setting steps from a trolley stop, and some of the city's top restaurants. Occupying two historic buildings, the Seward Hotel and the Portland Elks Lodge, the property mixes the architecture of the National Historic Landmark with luxury boutique amenities and locally-infused accents like Pendleton throw blankets on the beds and local snacks in the minibar. Jake's Grill has an American steakhouse grill feel, and Jacknife serves crafted cocktails just off the lobby. Five Star Alliance recently had the opportunity to visit the property, learn more about the hotel in the article, Historical Luxury at The Sentinel. Less than an hour outside of Portland, the Willamette Valley offers a wine-filled retreat. With the Oregon Coast to the West and the Cascades to the East, and the Willamette River flowing through the region, the valley is an idyllic setting for growing Pinot Noir. Home to more than 150 wineries and tasting rooms in towns like Newburg, Dundee, and McMinnville, the Willamette Valley was selected as 2016 Wine Region of the Year by Wine Enthusiasts. In addition to wine, the picturesque area is home to a variety of restaurants serving chef-prepared cuisine with a focus on local ingredients such as hazelnuts and marionberries. In the heart of the Willamette Valley, The Allison Inn & Spa provides a luxurious setting amidst its own vineyards, minutes from some of the area's top vineyards and tasting rooms. 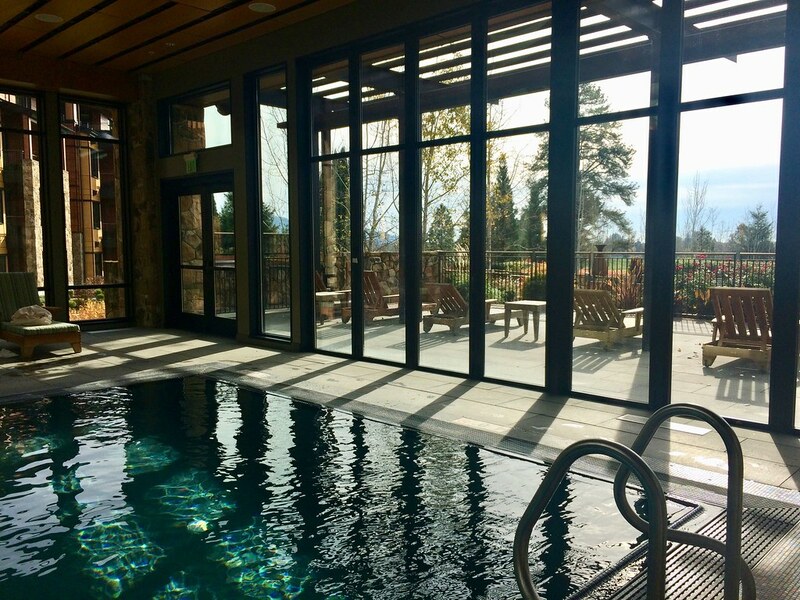 There's a full-service spa with signature "Pinotherapy" treatments focused on the energies and healing benefits of the region's pinot noir grapes, flowers, and herbs. 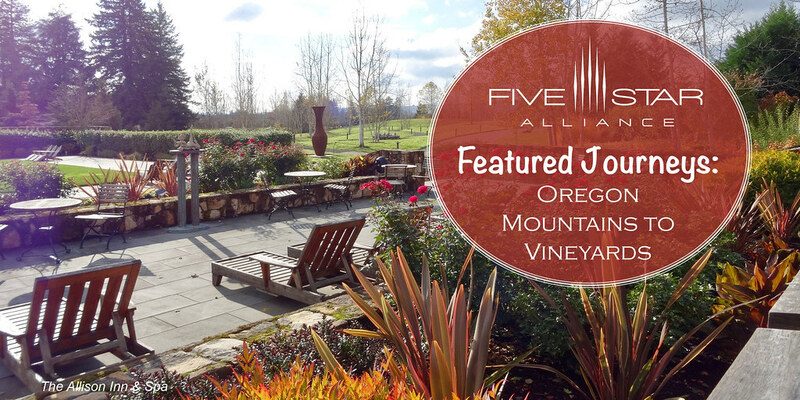 The indoor pool is surrounded by windows with a skylight and sun terrace, and the award-winning JORY Restaurant is known for seasonal farm-to-table dining paired with an extensive selection of Willamette Valley wines. 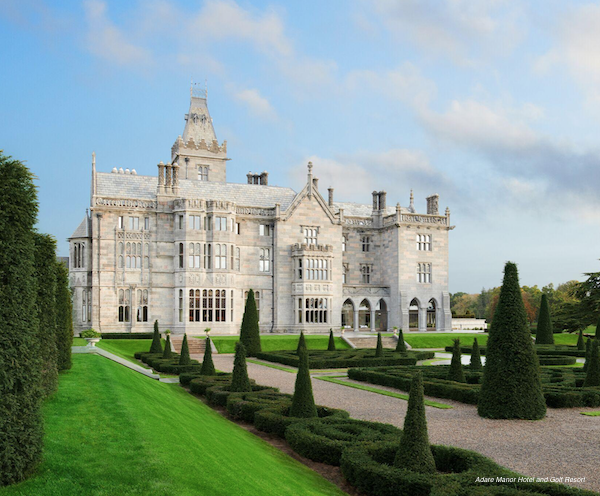 Five Star Alliance recently had the opportunity to visit the property, learn more about the hotel in the article, Relaxing Retreat at The Allison Inn & Spa. 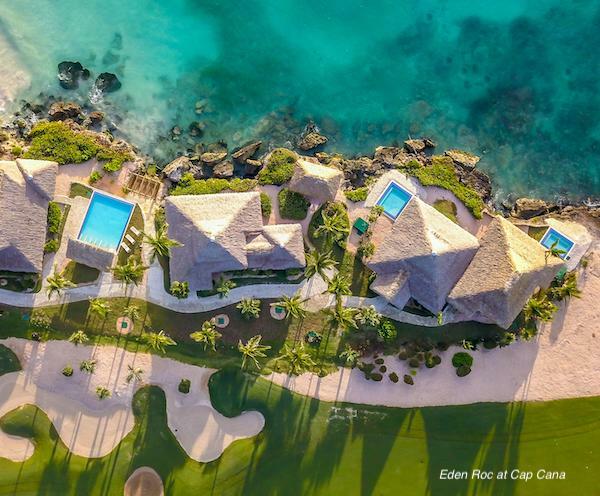 Consisting of 34 freestanding suites, Eden Roc at Cap Cana is the only Relais & Chateaux property in the Dominican Republic. Mixing Spanish colonial style with Riviera-inspired design, the property offers guests privacy and the exclusive Caleton Beach Club. Surrounded by a tropical forest, the property has towering cliffs, pristine beaches, marina, and a Jack Nicklaus signature golf course. Continue reading below the photo. Throughout the property there are six bars and restaurants each with a distinctive personality, including the Mediterraneo Restaurant serving Mediterranean cuisine crafted with items flown-in from Europe. La Palapa offers seafood with views of the Caribbean, and the BLUE Grill + Bar provides Japanese and Peruvian fusion dishes. Read more below the photo. Five Star Alliance Perk: Guests booking through Five Star Alliance receive a $100 food and beverage credit, bottle of champagne, and fresh fruit platter. Also, based on availability, an early check-in and late check-out.